I skipped out on the iPhone 5s, so the iPhone 6 is the first time I’ve had Touch ID—honestly, you haven’t lived until you’ve given your phone the finger. So to speak. The other night, a friend commented that he keeps trying to unlock his original iPad Air with his fingerprint, so accustomed has he become to his iPhone 6 (yes, it’s the first worldiest of first world problems), but that got me thinking about someplace else Touch ID might come in useful: the Mac. 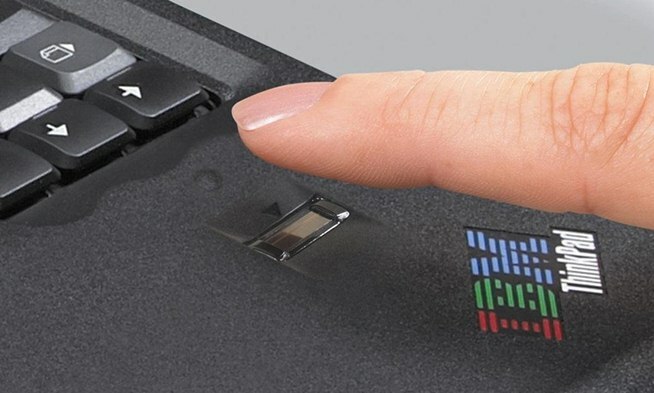 Biometric security—and fingerprint readers in particular—are nothing new on PCs. Plenty of laptops have a built-in scanner, but they’re often finicky, and software support for them is generally halfhearted at best. Like some of my past suggestions, all of that adds up to something that fits right into one of Apple’s sweet spots. On my iPhone, the number of places where I have to enter a password has diminished significantly since iOS 8 allowed API access to Touch ID. I’m all in favor of that—even Apple’s fingerprint sensor might be wonky at times, but it’s far more convenient than entering a long passcode, and safer than a four-digit PIN. Some day, I imagine I’ll upgrade to an iPad with Touch ID, but even then, my Mac will be left out in the cold—and I log into a lot of things on my Mac—and your security is only as good as the weakest link in the chain. Earlier this week, a non-profit industry group called the FIDO Alliance—which includes Google and Microsoft, as well as MasterCard, VISA, and RSA—published its final specification for passwordless authentication. FIDO’s approach largely relies on biometric factors to replace or supplement passwords, but they also accept a PIN or a USB key. The latter would seem targeted towards desktop and laptop computers, but to me it’s somewhat unsatisfactory, as it means just another item that’s easy to lose or have stolen. Biometrics, despite their weaknesses (replacing your hacked password is a lot easier than replacing your stolen fingerprint) provide a better tradeoff of security vs. convenience for the average user. FIDO’s specification allows for passwordless authentication as well as two-factor. While mobile is a good place to start the transition to a passwordless existence, you’re going to need widespread adoption, and desktop computers aren’t going away any time soon. So they need to be equal partners in the security future that we’re building here—and that’s going to mean, at least in part, biometrics. So Touch ID for the Mac just makes sense. There are those of you right now scoffing that Apple will never build one of those ugly fingerprint swipers into the sleek case of the MacBook—and I agree with you. Why bother, after all, when you’ve already got a big, touch sensitive, glass trackpad? Like Apple couldn’t come up with this, only better looking. Synaptics, a member of the aforementioned FIDO group, has already announced trackpads with built-in fingerprint scanners; it’s not hard to imagine that Apple’s own Touch ID team could come up with (or already has in a lab) something similar. It would be cool enough to simply be able to log into your Mac using your fingerprint, but by providing the same Touch ID API that exists on iOS you could also use it to secure your Mac apps, your 1Password vault, and even your web accounts. And though you won’t be dragging your Mac Pro to Whole Foods to buy peanut butter and Manchego cheese, there’s no reason that you couldn’t, say, order them off Amazon using Apple Pay. We can all agree that the current security environment is lackluster in the extreme. Apple’s done some solid work in taking biometric security from a niche use in places like enterprise and turning into something the average consumer might actually use. Now it’s time to commit to stronger security across all of its products.